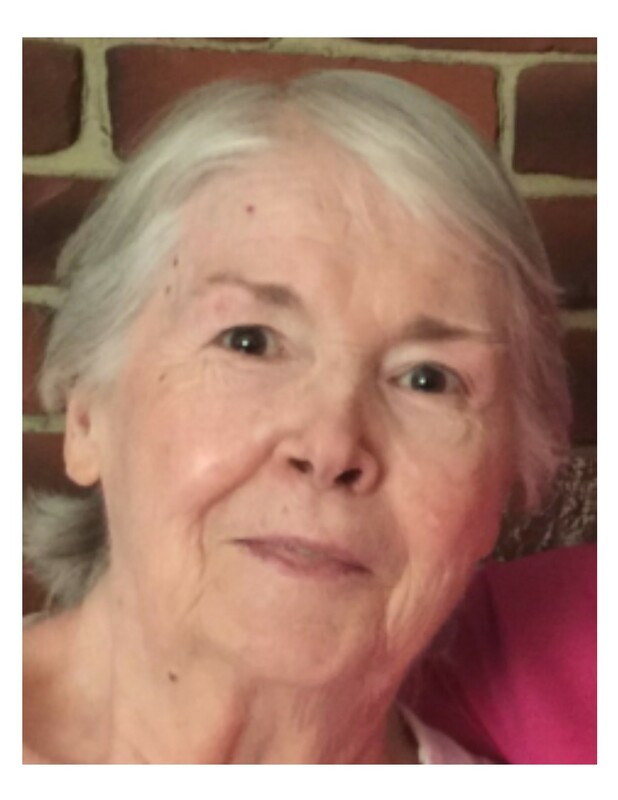 Helen ” Cappy” Michels Feuer passed away on the morning of January 4, 2019. Cappy was born on November 17, 1936 in the suburbs of Chicago and raised mostly in Winnetka, Illinois. She graduated from The Northampton School for Girls and Elmira College. Six months after graduating college, she married the late Stuart Feuer in 1958. Cappy and Stuart first came to Naples in 1969, and eventually became full time residents in 1996. Cappy was very involved with Trinity by-the-Cove Episcopal Church, as well as other charitable work in Naples. She loved Cooking, Classical Music, Traveling, Gardening, Needlepointing, Socializing and Entertaining, Reading, and Cultural Events. She also loved teaching piano and Sunday School at Trinity. Cappy is survived by her 4 children, son and daughters-in-law, and grandchildren; Alyn and Brian (Kaitlyn), Michael and Carolyn (Michael and Alex), Polly (Saeanna), and Elise and Mary. Cappy was preceded in death by her husband of 47 years, Stuart Feuer. Cappy was a wonderful wife, mother, and grandmother; she was an extraordinary individual and will forever be deeply missed. Donations can be made in Cappy’s name to Trinity by-the-Cove Episcopal Church. A service will be held on Monday, January 14, 2019 at 11:00 a.m. at Trinity by-the-Cove Episcopal Church, 553 Galleon Drive, Naples, Florida 34102. Harriet Stone “Hatsy” Heller passed away at the age of 81 at the home of her sister, Mary Heller Smith, on Wednesday, August 22, 2018, in Elmira, NY. 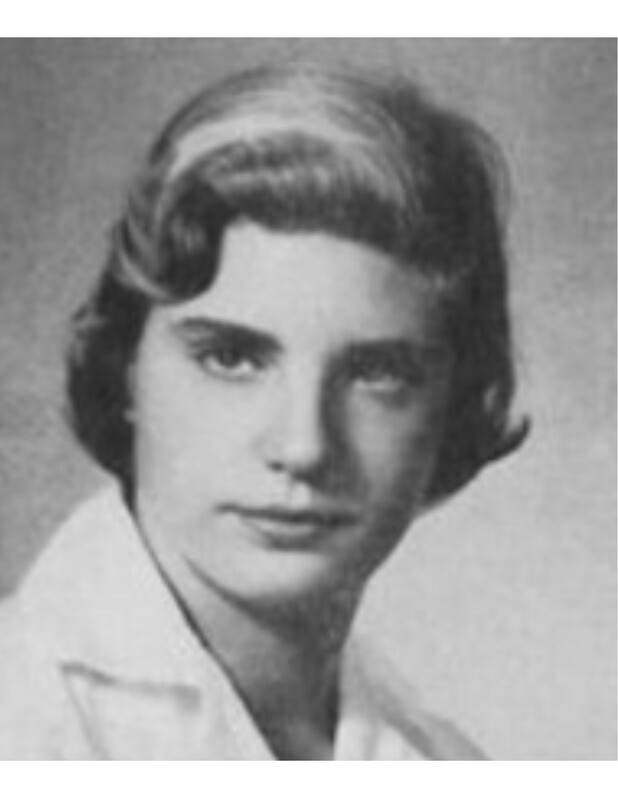 She was born in Elmira on October 8, 1936, the middle child of Mary Annetta Trimble and Richard Stone Heller. 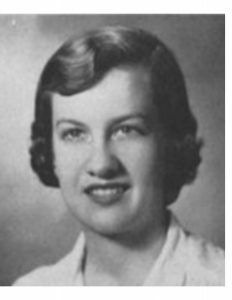 Harriet graduated from Northampton School for Girls in 1954, and completed her education with a BA from Elmira College in 1958. She was a longtime member of Park Church, the Junior League of Elmira, and a current Board Member and Secretary of the Friends of Woodlawn Cemetery, and Elmira College Club. Always loving sports, she worked many hours for youth tennis in Elmira. Her professional life included Director of Alumni Affairs at Elmira College, Assistant Director of Annual Giving at SUNY Brockport and Event Coordinator for E Entertainment in Hartford, CT. She is survived by her son James Richard Sophia and daughter-in-law Melanie Moran Sophia of Shaker Heights, OH; her daughter Elizabeth Stone Sophia of Marietta, GA, and predeceased by her infant son, David Heller Sophia. She leaves her grandchildren, James Trimble Sophia, Julia Stone Sophia, Michael Louis McClellan III and Sophie Caroline McClellan; her sisters and brother-in-law, Mary Annetta Trimble Heller Smith (’52) of Elmira and Janet Whyte Heller Howell (’56) and Fred Ellwyn Howell of Amesbury, MA; along with several nieces and nephews. Those of us who loved Hatsy knew she had her first cancer operation when she was 19 years old and had 63 years, most of her lifetime, living under the menacing shadow of this illness. Despite this, Hatsy always liked to have fun, to be out and about wherever she was. Always an excellent correspondent, she kept in touch with close friends and family from all segments of her communities throughout her entire life. She was curious, energetic, generous, and sensitive to the needs of others, always did her part and was a good and thoughtful friend to many. These stellar qualities held her in good stead at the end of her life as many came to help her, to care for her, to love her through the end days. Warren Allen Rival completed his life journey on April 18, 2018 at his home in Laconia, New Hampshire, at age 82 with his family by his side. Warren was born in New Britain, Connecticut on March 7, 1936 to Matthias and Loretta (Koerber) Rival. 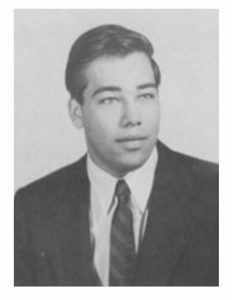 Warren attended New Britain Public Schools until he was fourteen when he went to Williston Academy and then on to Yale University where he continued to use his beautiful baritone voice singing with the Baker’s Dozen and the Yale Glee Club. He was graduated with the class of ’58. Warren started his career in aerospace manufacturing as a manufacturing engineer and factory manager. As an entrepreneur and patent holder he grew his small successful aerospace manufacturing business from three to seventy five employees. The good work of others was always greatly appreciated and respected by him. Whatever recreation Warren allowed himself was for the benefit of his family mainly in the mountains of New Hampshire, Maine, Wyoming and Switzerland, the birthplace of his paternal grandmother. Summer vacations were always on the coast of Maine. In his later years his tennis game became part of the “Old Mens” group. Warren’s quiet intelligence, integrity and industry are carried on by his son Chris and his daughter Mimi who saw their father live his life and endure his long illness with grace. Warren is survived by his wife Jean; his son Christopher (’78) and his wife Suzanne of North Reading, Massachusetts, and his daughter Maria “Mimi” Tlougan and her husband Bruce of Jackson, Wyoming; grandchildren Dr Brook Tlougan and spouse Vijay Karia of New York City and Jackson, Wyoming, and Jay Tlougan and his wife Liza of Jackson, Wyoming; great grandson Rowley Tlougan. Also surviving are nieces Marcia Richmond and her husband, Al, of Westfield, Massachusetts and Susan Nock and her husband, Randy, of Twinsburg, Ohio and nephew Bryan Rival and his wife, Caroline, of Hilliard, Ohio. In addition to his parents Warren was preceded in death by his brother Richard. After a short illness, Bill Nichols passed peacefully from this life the evening of Sept. 28, 2016. He had just had his 80th birthday. Following a diagnosis of cancer in June, 2016, treatment began with partial success. Hospice care began September 19 at Alexander Cohen Hospice House.Bill Was born September 15, 1936 in Adams, Massachusetts to parents Edward and Esther (Perkins) Nichols. In his early years he lived with his family, including older sister Janet in Yonkers, NY. Frequent family visits to relatives in MA were enjoyed by all. Bill graduated from UMass, Amherst, in 1958 with a BS in Landscape Architecture. In 1962, he received his Master’s in City and Regional Planning at Yale University. His interest in the western US had him sending job applications to several cities. Interview appointments came from Fort Worth, TX, San Diego and Modesto, CA and Seattle, WA. Bill wanted to work for a city with a City Manager form of government. Bill spent 1962-1966 in the Modesto City Planning Department. He enjoyed working in a central city with growth challenges and in charge of its own destiny. Population in 1962 was 38,000. During this time he met and married Betty Okerman, in 1964. Their unusual first home was the basement apartment of the McHenry Mansion. Daughter Karen arrived in 1965. Again, wanting to experience life in another area of the US, the family moved to Madison, WI where Bill was employed until late 1969. Son John had joined the family in April, 1969. The position of Planning Director in Modesto had become open in 1969 and Bill applied and was accepted to fill it. The family returned to Modesto, now with 60,000 population. Bill retired in 1998 having long served as Modesto’s Director of Planning and Community Development, completing a public service career that in total spanned 36 years. He believed the physical environment was an important factor in our quality of life. Bill led efforts to control the proliferation of signs, to maintain residential privacy while increasing overall residential density and to direct urban development to cities and in so doing support our agricultural base. Much of this work culminated with the City’s adoption of the village neighborhood planning concept in the late 1990’s. Bill worked tirelessly with the building industry and environmental organizations to sanction a neighborhood design all could support. All new residential development for over 20 years has been based on this concept. 1998 population, approx 180,000. Family life through the years included camping trips, sports, music, church participation, YMCA activities, vacation travel, and assorted pets. Bill had been active in Toastmaster’s International since 1962 and continued into July of this year.Following retirement there was more time for longer European travels, Bill and Betty both enjoyed MICL opportunities, Masterworks Chorus at MJC, Modesto Symphony Chorus, and ushering at the Gallo Center of the Arts.Bill is survived by Betty, his wife of 52 years, daughter Karen Nichols, sister Janet Derouin of Bridgton, Maine, nephew Chadbourne Derouin of Oklahoma City, OK, nephew Montgomery Derouin of Bridgton, ME, and several cousins. He was predeceased by his parents Edward and Esther Nichols and son John Nichols. 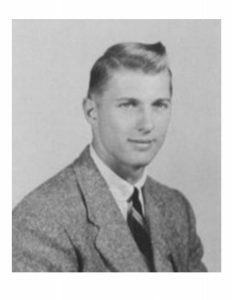 William Gerald Opsahl, age 79, of Minneapolis, passed away Sept 1, 2015. 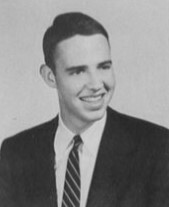 Preceded in death by parents Morris and Eileen, Bill attended Duluth East High School, graduating from Williston Academy and Yale University (’58). He sang with the Yale Glee Club, Bakers’ Dozen and Whiffenpoofs. His lifelong involvement with the arts included president of the Duluth Superior Symphony Orchestra, performances with the Minnesota Chorale, and Basilica Choir. He was an appointee to the Minnesota State Arts Board, served on the Board of the Minnesota Parks and Trails Council and Duluth Zoo, advocated for passage of Minnesota’s 2008 Arts and Cultural Heritage Legacy Amendment, and was active in Minnesota’s Republican party. 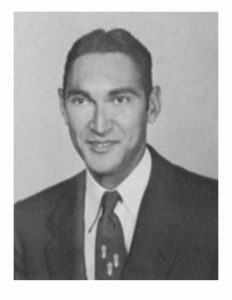 He was Minnesota representative for the Yale Alumni Association and trustee emeritus of The Williston School. He was the Executive Vice President of Superwood Corporation and later engaged in venture capital and consulting. He is survived by his wife, Karen Voss; his children Lee Stubenvoll (John), Laura Bordelon (Brett) and Michael Opsahl (Lisa); grandchildren Megan Knetsch (Jonathan), Michael Stubenvoll, Ari Opsahl (Harley), Matthew and Thomas Opsahl, and Maxwell Bordelon; and great granddaughter Ella Knetsch. Author R.A. Montgomery, co-founder of the company that first published the popular Choose Your Own Adventure interactive book series in the 1970s, died at his home in Warren, Vt., on November 9 following a brief illness. He was 78. Montgomery was born in Connecticut in 1936. Growing up in New England, he attended Williston Academy before matriculating at Williams College, from which he graduated in 1958. Throughout his early life and education he developed a passion for finding and developing innovative teaching methods that inspired children to learn. 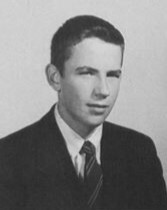 Among his achievements in this area were his role as assistant dean of faculty at Columbia University from 1963–65 and the 1966 founding of the Waitsfield Summer School in Vermont, which featured an experiential curriculum and used gaming to teach math. Montgomery went on to develop role-playing games for the Edison Electric Institute and for training programs used in the Peace Corps. William “Bill” Yahn passed away on December 14, 2014. Bill was the son of Earl Edwin and Martha Blodgett Yahn of Fairfield, CT and Santa Barbara, CA. Bill is survived by his loving wife of 47 years, Nancy; sister Meredith Grenier of Palos Verdes, CA; devoted daughter and son-in-law Betsy and Chris Gillon; and 4 adoring grandchildren. Bill was born in Detroit, MI on March 20, 1937. 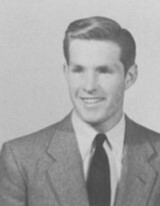 After graduating Trinity College (CT) in 1959, he served in the U.S. Navy as Lieutenant (J.G. ), then earning an M.B.A. at the Wharton School of Business. 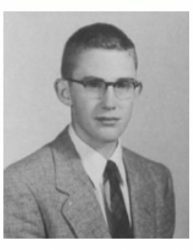 His early life was spent in Fairfield, CT, but he and his family moved to Maryland, Mississippi and then Austin in 1981. He was a partner at Harrison-Pearson and Associates from 1991 until his retirement in January 2014. Bill was a member of the Austin Rotary Club throughout his professional life, and a member of St. Michael’s Episcopal Church, singing in its choir for many years. He was a passionate fisherman and enjoyed training his two dogs, Bart (deceased) and Sam.